But will ITV ever drop adverts model? Virgin Media has confirmed that it would be interested in bringing more content to its successful video-on-demand (VOD) service, and would consider ITV programmes. Following the launch of the BBC iPlayer on its set top, Virgin Media is keen to further educate people about the VOD service it currently offers through its cable network. Catch-up TV on demand, free for all subscribers, provides Virgin Media’s pick of the best programmes from several channels, whilst TV Choice on demand offers content from partners such as Channel 4, HBO and Warner, showing entire series of classic shows like Teachers, Band of Brothers and Babylon 5. 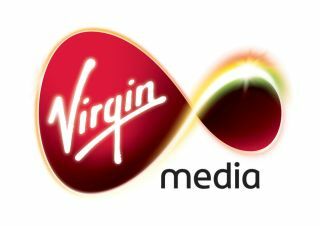 However, speaking to TechRadar, a spokesman confirmed that Virgin Media would look to add more content to its offering wherever possible. "Virgin Media pioneered on demand content in the UK and we've invested heavily in bringing our customers the best possible service. We’d certainly like to build on this with new content and services," said the spokesman. "We would consider these on merit. Our goal is to bring the best film, television and music to our customers, but at the same time ensure our customers have the best experience possible." Virgin Media’s VOD content is advert-free which would appear to cause a significant problem with ITV content which currently is only available with commercials. ITV.com’s catch up service lags far behind the BBC iPlayer in functionality and contains adverts, and the forthcoming Kangaroo service from the BBC, Channel 4 and ITV is also currently expected to contain commercials.